Lots of intersection. Results however…hmmm. Have to agree. At my daughter’s high school they taught a “programming” class. She showed me the point-and-click gob they made the class do. For the life of me I couldn’t figure out how this had anything to do with programming in any way. Programming and electronics are just the manifestations of mathematical knowledge therefore there is no point trying to seriously teach them before the child has a solid grasp of mathematics. We teach our kids a lot of maths first, and early, then drop them into MIT Scratch to get them started followed by work in the Arduino environment. No cutesy educational toys come into the picture at all, and that means we can afford a lot more useful stuff, such as more components and sensor modules. By taking this path, in a STEM teaching stream, we have them able to design and instrument basic experiments then collect and visualise the data, but the time they are 10 years old. They have a great time too because they know that if they plough through the content of their set texts in six months they have the rest of the year to be mad scientists, which has the additional privilege of more spending allocated to them for specific projects once they submit their experimental design and BOM. Unfortunately the individual had trouble fulfilling demand, and decided to give up. Shame, it was a nice product. 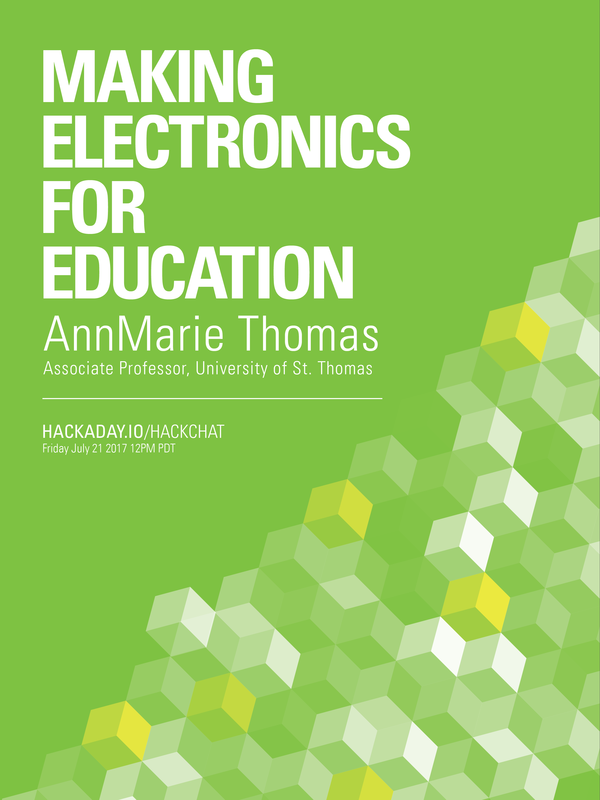 Some folks who sell educational electronics projects on Tindie are going to also be around for the chat.